Lindberg eyewear reveals to the world that you think differently- that you are uncompromising on your standards for exceptional design and high-quality materials. Each Lindberg frame is hand crafted to order, with a commitment to providing exquisite aesthetics, cutting-edge technical innovation and impeccable craftsmanship. 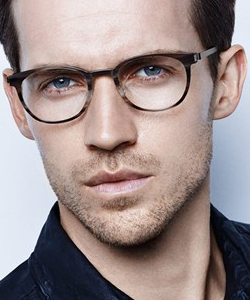 Lindberg’s award-winning designs hold to traditional Danish discreet yet classic elegance and deliberate simplicity. The frames are distinct in their timeless and elegant style yet maintain exceptional strength, comfort and flexibility due to revolutionary engineering and exclusive materials such as titanium, acetate, gold, platinum, diamonds and natural animal horn. No other frames on the market combine the patented technological innovations, attention to detail, careful engineering and hand finishing that make each frame a unique, individual masterpiece. Lindberg eyewear is simplicity and elegance at its finest.